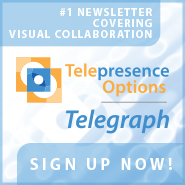 The days of telephone conference calls may become a thing of the past. Recent breakthroughs in videoconferencing technology have not only made meetings more exciting and interactive, but they have also proven to increase the productivity of employees in the workplace. The problem many employees face during your average meeting is the lure of multi-tasking. At any given time, employees can easily check their e-mail, write their grocery list, or press the "mute" button to hold a side conversation. Fuzebox reports that a whopping 92% confess to multi-tasking during meetings and 57% say it is most frequent during a phone conference. High employee engagement is critical for a successful business. When employees are not engaged, the numbers add up to costing the U.S. economy roughly 450 billion to 500 billion dollars annually. With so many distractions, how do we keep things interesting enough to stay focused during a meeting? The answer is videoconferencing. According to Fuzebox, only 4% of people say they get distracted during video meetings compared to the 16% that are distracted during an in-person meeting. In addition, 63% say they put more time into preparation and research prior to a videoconference. Let's not overlook the fact that the ability to reach out to employees on a global level is limitless! These numbers speak volumes and provide the answers we need to ensure that our work environment remains productive and efficient.� The bottom line is: videoconferencing helps maintain accountability and can help improve decision making, profitability, and maintain employee engagement. If you're looking for ways to improve productivity, consider Fuzebox videoconferencing for your next team meeting and let us know what you think! 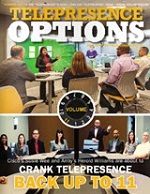 Ana Perez is the Webmaster at Human Productivity Lab and Telepresence Options. Aside from web design, Ana specializes in computer forensics and cybersecurity technology. Click here to email Ana. The problem many employees face during your average meeting is the lure of multi-tasking. At any given time, employees can easily check their e-mail, write their grocery list, or press the \"mute\" button to hold a side conversation. Fuzebox reports that a whopping 92% confess to multi-tasking during meetings and 57% say it is most frequent during a phone conference. 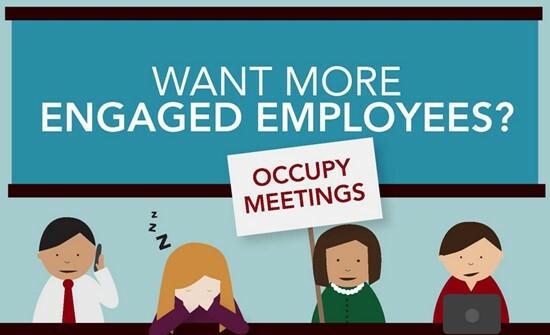 High employee engagement is critical for a successful business. 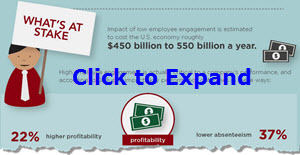 When employees are not engaged, the numbers add up to costing the U.S. economy roughly 450 billion to 500 billion dollars annually.